The electric-car maker’s new board chair and directors may be helping to tone down CEO Elon Musk’s overwrought promises and tweets. But his decision to wait until the end of an earnings call to disclose that Tesla’s finance chief is leaving shows Musk remains firmly at the wheel. 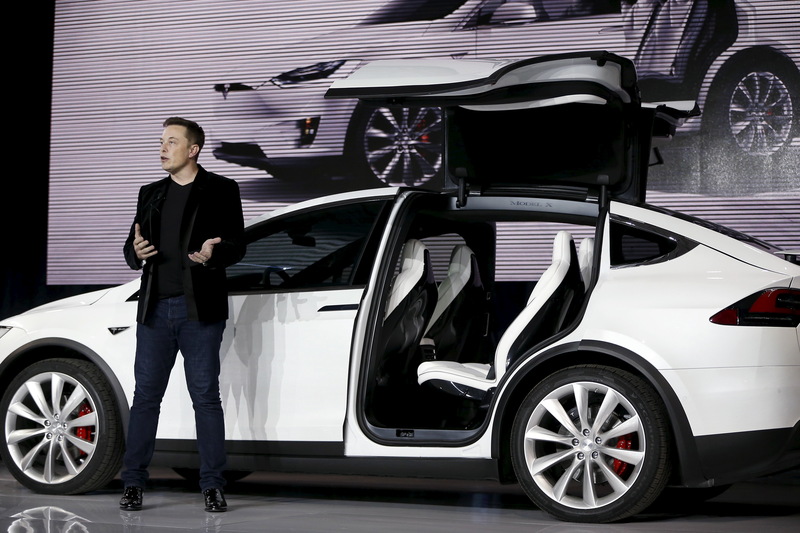 Tesla Motors CEO Elon Musk introduces the falcon wing door on the Model X electric sports-utility vehicles during a presentation in Fremont, California, U.S. September 29, 2015. Tesla Chief Executive Elon Musk announced at the end of the company’s fourth-quarter earnings conference call on Jan. 30 that Chief Financial Officer Deepak Ahuja is retiring later in the year. Zach Kirkhorn, currently vice president of finance, will replace Ahuja. The 34-year-old joined Tesla nine years ago.